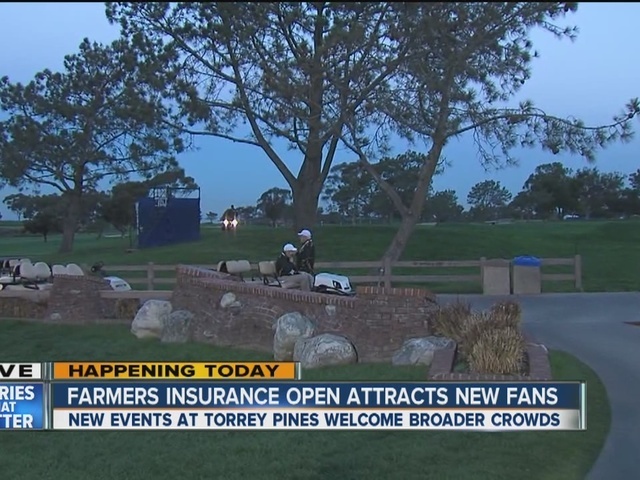 LA JOLLA, Calif. - Scott Brown and Andrew Loupe each shot a 66 Thursday, or six under par, to lead the $6.5 million Farmers Insurance Open golf tournament after the first round at Torrey Pines in La Jolla. Brown, who has won one PGA tour event in four-plus years, and Loupe, who has three top 10 finishes already this year, lead a pack of five other players by one stroke. Jason Day, the defending champion who is ranked second in the world golf rankings, shot an even-par 72 and is tied for 76th. 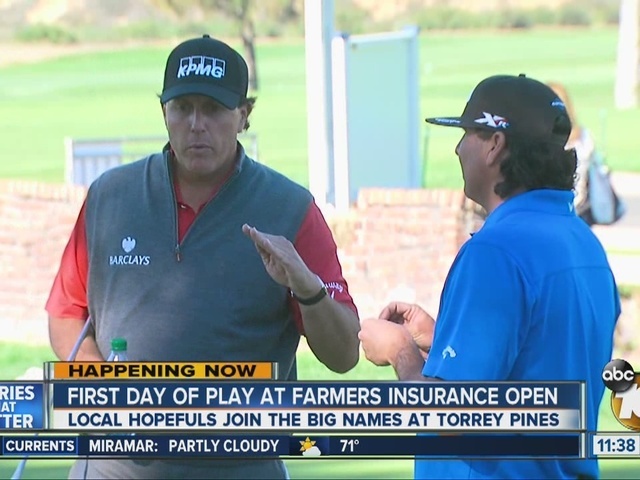 He missed Wednesday's pro-am because of a bout with the flu. Among other big name players, Phil Mickelson and Patrick Reed are in a pack of players tied for 15th after firing a 3-under 69, Dustin Johnson shot a 2-under 70, and Rickie Fowler and Brandt Snedeker were one over par. Xander Schauffele, a San Diego State and Scripps Ranch High School alumnus who is playing in the tournament for the first time, came in with a 75, three over par. While five of the world's top 10 players are competing, several regulars are missing this year. Jordan Spieth bypassed the tournament in favor of the Asian Tour's Singapore Open. Tiger Woods remains sidelined by a hip problem that required surgeries in September and October. Two-time Masters champion Bubba Watson is participating in the PGA Merchandise Show in Orlando, Florida. The players were spread among the North and South courses in the first round, and will flip courses Friday. After the cut, the final two rounds will be played exclusively on the South course beginning at 8:30 a.m. both days. The winner will receive $1.17 million. Parking, with shuttle service, is available for $20 at the Del Mar Racetrack and SeaWorld San Diego during the tournament's four days. Saturday and Sunday, parking will also be available at The Scripps Research Institute. Prices are $25 and $30, depending on the TSRI lot.